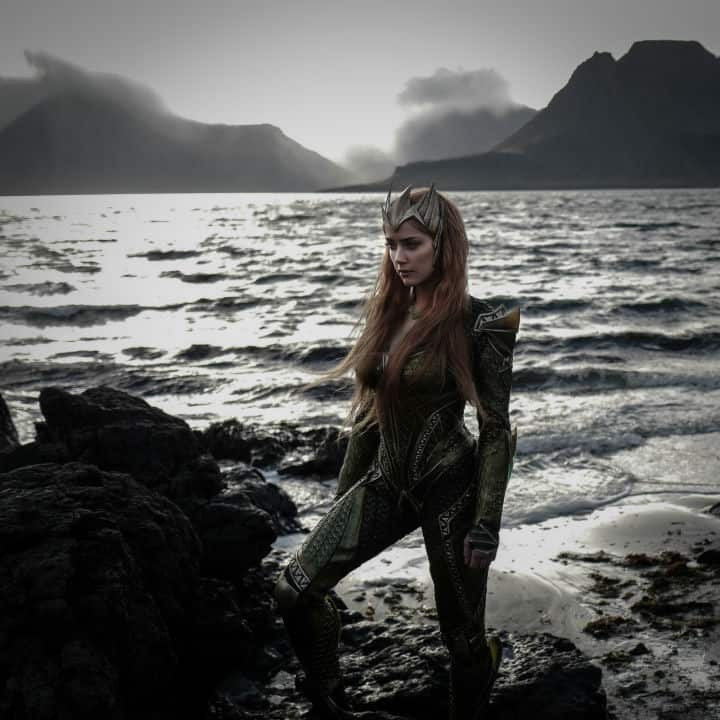 Justice League Movie Photos Reveal First Look at Mera of Atlantis | Nerd Much? New Justice League photos have just been revealed. 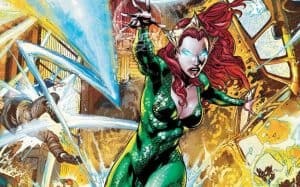 This time, we get our first look at Amber Heard as Mera of Atlantis. In an exclusive reveal by IGN, Heard has finally been shown in her full costume as Mera. Traditionally, the character is portrayed as the wife of Aquaman and queen of Atlantis. With as often as Zack Snyder wanders from the source material, we are still unsure of her role in the upcoming movie. The Justice League photos were taken by Snyder himself and show and really show off the great costume design the DC movies have had so far. This is one of the less grounded costumes, but the design still feels somewhat plausible in the world Snyder has created. In Justice League, Mara is expected to only have a supporting role as Atlantis is first introduced. However, her role will be greatly expanded on in the standalone Aquaman movie. This will be directed by James Wan. Justice League is schedule to release next year on November 17. There is still much to see until then, so expect many more Justice League photos before its release. We just hope the movie fares better than Batman v Superman. We won’t know until we see it though.